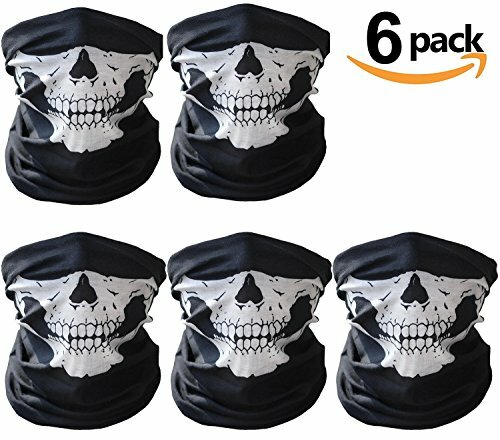 6 Pack Skull Mask for Cycling, Hiking, Camping, Skiing, Climbing, Fishing, Hunting, Jogging, Motorcycling, Tennis etc. For men, women, child, teen, adult in any outdoor activity. Vivid Skull Design: The skull perfectly adapt to the natural shape of human\'s face when used as a face mask. Offering an awesome frightening visual impact in your costume party or outdoor activity.